Rain and darkness cloak the land. The earth has turned to mud. The sun appears reluctantly each day, hunkering low on the horizon where it seems to take a doubtful peak at our dreary land and say, "Thanks but no thanks, man. I'll be in Australia." And so we shiver through the winter; we burn our furniture to stay warm, eat boiled turnips, fuss over Christmas shopping, bundle up in damp blankets and wait for warmer days. We also drink beer. Naturally. During these cold months, beers don't get much better. Now's the time when microbreweries put their watery lagers on hold and brew up high-alcohol, big-boned malt bombs strong enough to ward off the frost, not to mention make "The Twelve Days of Christmas" tolerable. Locally, the Christmas beer list includes Moylan Brewery's White Christmas Spiced Winter Lager, Marin Brewing's Hoppy Holidaze, 21st Amendment Brewery's Fireside Chat and Anchor Brewing Co.'s annual Christmas Ale, all available in either bottles or cans at local markets. On draft, find an experimental version of Lagunitas Brewing Co.'s Brown Shugga, usually an ale but this year fermented in part with a lager yeast, pouring at the brewery taproom starting in early December. Up in Healdsburg, the downtown taps flow with the Scottish Wee Heavy at Bear Republic Brewery. According to the Beer Judge Certification Program guidelines, a Christmas beer's aromas should be "reminiscent of Christmas cookies, gingerbread, English-type Christmas pudding, spruce trees or mulling spices." Traditionally, English and German breweries never spiced their Christmas beers, but the Belgians did, and the technique has become a favorite method. Moylan's winter beer is heavy on pumpkin pie spices and also bears grainy, biscuity notes of a lager. 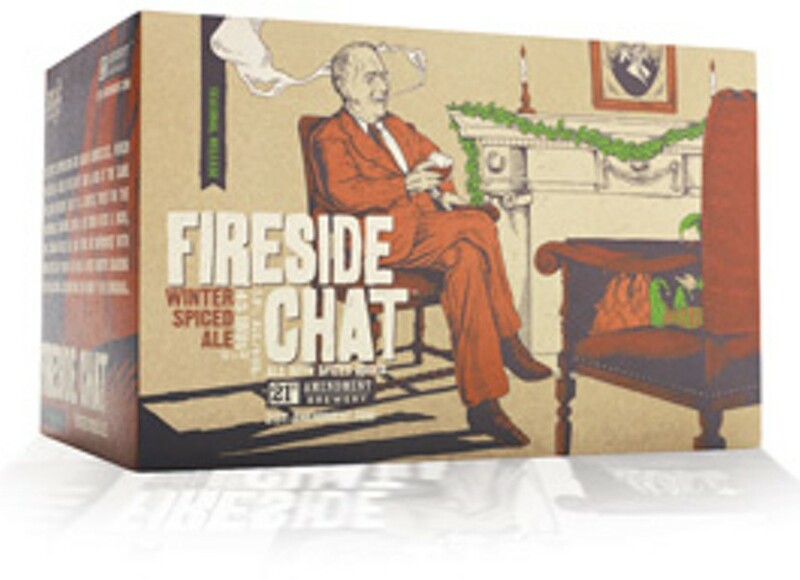 And Fireside Chat, 21st Amendment's ode to Franklin Roosevelt's weekly radio talks with the nation, contains the warm and sugary essence of "spices"—and that's all they're willing to tell us on the can. Anchor's Christmas Ale also carries an undisclosed curry of ingredients that changes from batch to batch. Avery Brewing's Old Jubilation Ale stands in a gray area, brewed with no special ingredients yet redolent of hazelnuts, ginger and espresso. Would one ever imagine that the Shmaltz Brewing Company, renowned for its Jewish-themed brews, would deign to release a Christmas beer? Hell no. The irreverent San Francisco—based brewery is famed for its He'brew: The Chosen Beer label, and every year since 2004 has released a special birthday beer called Jewbelation. Last December, when the brewery turned 13, Shmaltz released—what else?—Jewbelation Bar Mitzvah. Currently hitting shelves is Jewbelation Fourteen, a brown ale of 14 malts, 14 hops and 14 percent alcohol. In our melting pot of a world, He'brew representatives will be celebrating Christmas—and pouring beer—at the Toad in the Hole Pub (116 Fifth St., Santa Rosa; 707.544.8623) on Tuesday, Dec. 7, where the Jews' brews will be matched to traditional Christmas soups and roasts and pies of England. The following Tuesday, Dec. 14, the owners of Anchor Brewing will pour their famed Christmas Ale and other classics at the pub. And on Tuesday, Dec. 21, the weekly event will feature an all-star lineup of Christmas beers English, Belgian and American. Drink up. The carolers are coming.